Not a meal for the faint hearted. Two thick slabs of deep fried Zinger burger patties. Sandwiched in between is a sliver of ham, a slice of cheese and oozy, gooey cheese sauce. What can I say? I bet I consumed a week’s worth of sodium but it was all worth it. Crunchy skin, juicy tender meat, savoury creamy cheese sauce all blend together in a wonderful medley of salty flavours. KFC is notorious for advertising one thing and serving another lol (remember those shrimp things that looked so big in the ads but were tiny irl?) 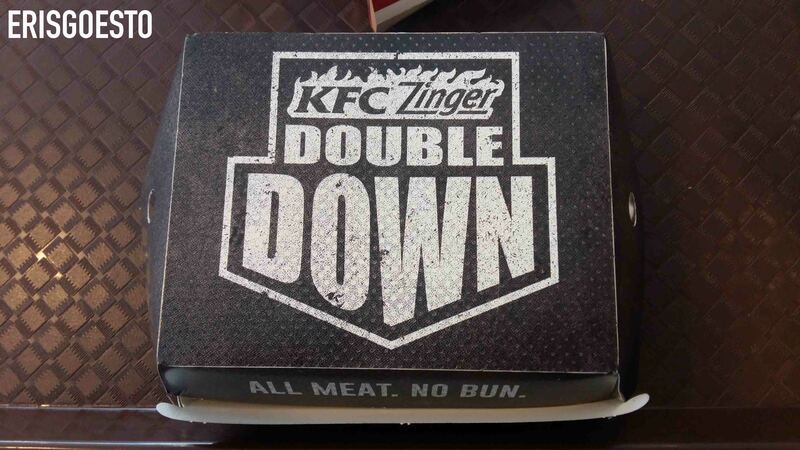 but I’m happy to note that the Double Down DOES NOT DISAPPOINT. Damage for a set meal was RM14.50, with fries and a drink. The DD is available for a limited time only. 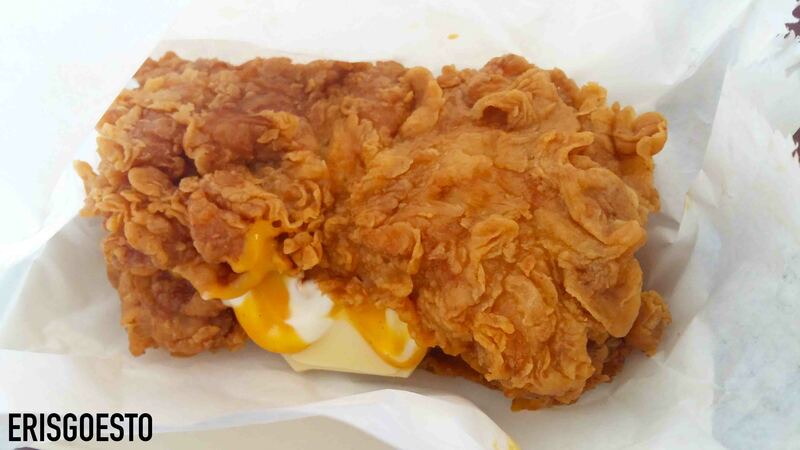 **Based on experience, different KFC outlets tend to have different standards (so much for QC). This beauty was bought at the KFC in PJ New Town. Well, KFC here in India is also a must stop destination. Keep eating & keep sharing. I shall try this too.